Another year is coming to an end and I’ve yet again managed to produce one gardening blog a day throughout the year. Okay, there have been some cases where I accidentally published two blogs one day and nothing the next day, but the total is the same: 365 blogs published in 2018. There are now more than 1,500 articles on the Laidback Gardener site covering a wide range of horticultural topics. And the blog is more and more popular: there were more than 1 million views in 2018: that’s more than twice as many as in 2017. And 929,234 actual visitors, about three times as many as in 2017 (314,216). Of course, that doesn’t mean a million different people visited the blog: most visitors are frequent readers who read the blog several times each year, if not daily. 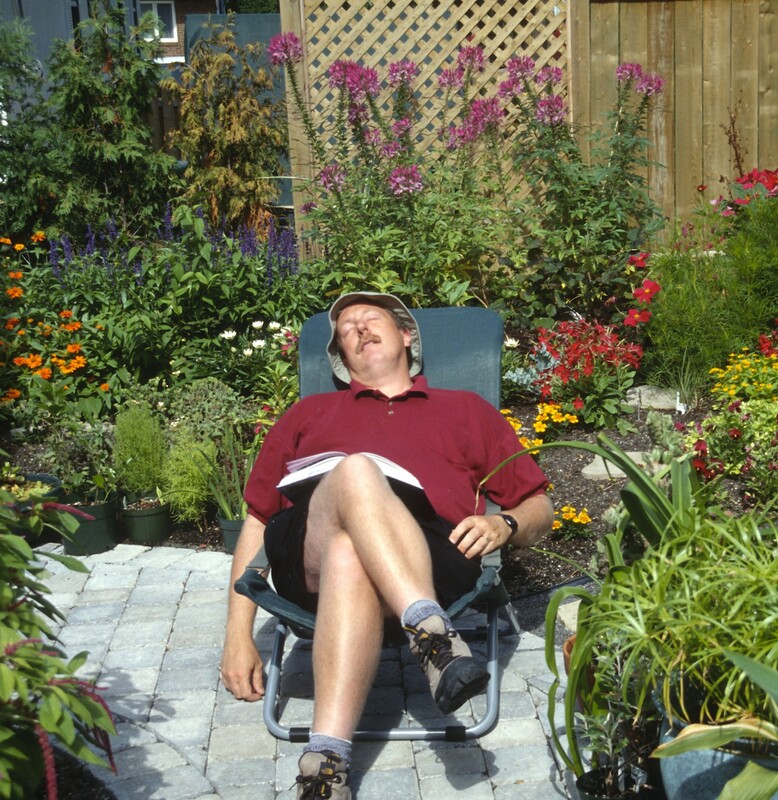 The Laidback Gardener blog is written in Canada, specifically in Quebec City, but is read all over the world. In fact, it is far more widely read in the United States than in Canada and the United Kingdom is catching on fast. I suspect that there’ll soon be more UK readers than Canadian ones. It’s a question of population size, really: all three countries have huge numbers of gardeners, but there are far more Americans and Brits than Canadians. Australians too visit the blog a lot, although their climate is oh so different from mine. But then, so many aspects of gardening are universal! The person behind the blog remains Larry Hodgson. No, I have no team behind me, not even an assistant. I write all the texts myself, except for a dozen or so a year that I republish from other sources. How do I manage to write a blog a day, especially when I have a career as a garden writer/lecturer to maintain? Well, I get up early (usually about 5:15 am) and try to produce the blog before lunch. That’s my goal, at least. I calculate that preparing the blog (writing, looking for the pictures, preparing the illustrations, page set up, etc.) takes me about 5 hours of effort a day. And I intend keeping the blog going. Even though I will be reaching “retirement age” (65 years old) in 2018, I see no reason to stop. I hope to keep this blog going for as long as I live! In 2019, therefore, I plan to continue at the same pace: one blog a day. However, I do give myself the right to repeat some blogs from years past. After all, most readers have never seen them and the majority of others have had time to forget them. Even I don’t remember everything I’ve written over the years! With 1500 blogs, who could? The Laidback Gardener blog is essentially nonprofit, at least in its conception: I prepare it because of the challenge of doing so as well as the pleasure of sharing my passion for gardening with others. Any amount of money coming in is secondary. If I were rich enough to do so, I’d take all the ads off the blog. However, I feel it is legitimate to try and recuperate the cost of preparing the blog, which is why you’ve been seeing ads appear on the blog for the last year. Every time you read the blog, a little money comes in. Of course, I could charge for the blog, making it only available to people who pay (but then I wouldn’t be sharing with as many people, would I?) or install one of those “Buy me a coffee” buttons so you could send me a small amount of payment for each blog you like. But I don’t drink coffee … and that always seems like begging to me. Or I could look for a corporate sponsor … and thus lose my freedom to write about gardening the way I want to. So, for the moment at least, if you visit my blog, you’ll be stuck seeing ads. And no, I don’t have any control about which ads appear. They’re controlled by an algorithm based on your online habits. So, if you spend a lot of time visiting “funny kitty” sites, you’ll likely see ads about cat litter. Most ads I see are about seed catalogs … yup, the algorithm really does know me! Is the blog profitable? No doubt an accountant would say no, especially compared to the number of hours I spend every week putting the blog together, but I see the situation differently. The blog brings in a little money, the lectures and classes I give bring in a little money, the articles I write for different newspapers and magazines bring in a little money, etc. All told, I manage to make a decent living and have been making a living as a freelancer for 35 years, so I’m used to financial instability. But to actually make a reasonable salary, I have to put in some 60 to 75 hours of work a week. I’ve been doing so for all those 35 years … but that’s a lot of work. One day, I’d like the revenue from the blog to at least pay for the time I spend on it. That way, I could slow down the pace of my other activities and maybe work only a 40 week like most people. Preparing the blog will always take a lot of time, so I can’t cut there, but I could reduce my other activities. For example, although I enjoy lecturing, I have to admit that giving more than 70 conferences a year, which is what I do currently, is a lot. It’s not so much giving the lecture that is so time-consuming, it’s getting to and from the lecture and most of them involve at least half a day’s travel. If blog revenues increased enough, I could cut back on my lectures and other time-consuming activities and concentrate more fully on the blog. Obviously, readers can help make the blog financially sound. How? First, read the blog every day if possible. Or at least several times a week. Don’t just look at the subject, smile and skip the blog for that day. Always at least click on the blog page. Every visit, even just a click, counts. The same goes if you see the blog through another platform (Facebook, Twitter, etc.) and many of you do. Don’t just admire the photo or illustration and the first few words: click! Otherwise, I get … nada! If you’re new to the blog, you can easily “subscribe” (and it costs you nothing). Just push the “Follow” button at the bottom of the page. It’s simple. Also, do share my blogs with others. Many of you do already, but if you don’t, encouraging your friends to follow the Laidback Gardener is hugely important. Word of mouth is vital! The more you share, the more people will click on the blog … and the more money will come in. I don’t like talking about money matters, but figure a blog or two on the subject per year is legitimate. So … ’nuf said! Good reading. Good gardening. And a Happy New Year! You’re welcome! May you have a wonderful 2019 as well! Well done Larry.Happy New Year. Thanks Anne! Happy New Year to you as well!